During the 2500 years after the Lord Buddha Shakyamuni’s MahaParinirvana, the Buddhist Holy Dharma has evolved through two main evolutionary lines, namely: the “Hinayana” path (the “Smaller Vehicle” as represented mainly by the Theravada Traditions of Ceylon, Burma, Thailand, Cambodia, Laos, etc. in the South) of liberation, and the “Mahayana” path (the “Greater Vehicle” as represented by the diverse Bodhisattva Traditions in China, Korea, Japan, Vietnam, Tibet, etc. in the North) of enlightenment. At the same time, the Buddhist Holy Dharma can be further classified into the “Sutrayana” (the “exoteric” school) and the “Tantrayana”, or “Secret Mantra Vajrayana” (Tib. “Sang-ngag Dorje Thekpa”, the “esoteric” school). The former mainly composed of the “shravaka, pratyekabuddha, bodhisattva” vehicles. The first two vehicles are in the category of “Hinayana”, while the last vehicle belongs to “Mahayana”. In this regard, the “Sutrayana” was mainly spread to China, Korea, Japan and other places. 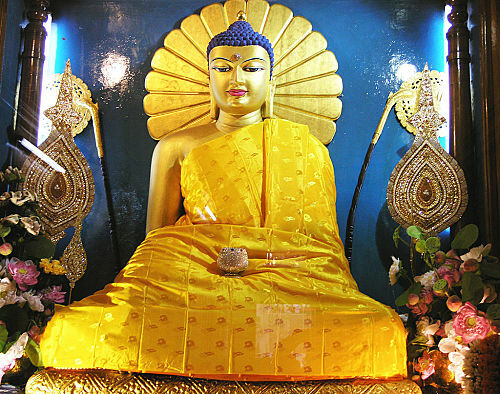 The path of enlightenment, as taught by “Mahayana”, emphasizes on one’s cultivation of both compassion and wisdom, while receiving training on the three fundamental aspects of ethical discipline (vinaya), meditative concentration (samadhi), and penetrative insight and wisdom (prajna) in order to realize on the true nature of reality (which is the absence of inherent existence) – “Emptiness” (shunyata). “Tantrayana” again further sub-divides into two parts, namely: the “Three Outer Tantras” (namely: “Kriya, Upaya, and Yoga Tantras”), and the “Three Inner Tantras” (namely: “Mahāyoga, Anuyoga, and Atiyoga”; also to be known as the “Father Tantras, Mother Tantras, and Non-dual Tantras” respectively by the New Schools, and to be collectively known as the “Anuttara-Yoga Tantra”). The “Three Outer Tantras” of “Tantrayana” were first spread from India to China (during the Tang Dynasty) and later on to Japan (as the Shingon School); while both of the “Three Outer Tantras” and the “Three Inner Tantras” of “Tantrayana” were all spread from India to Tibet during the eighth century. 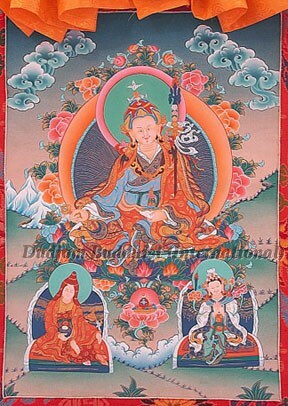 The earlier teachings and practices of Tibetan Buddhism were brought into Tibet from India during the 8th century by the great Tantric Master Guru Padmasambhava (more generally known to the Tibetans as Guru Rinpoche), and the Abbot of Nalanda Khenpo Shantarakshita, both of whom were invited by the Tibetan King Trisong Detsen. 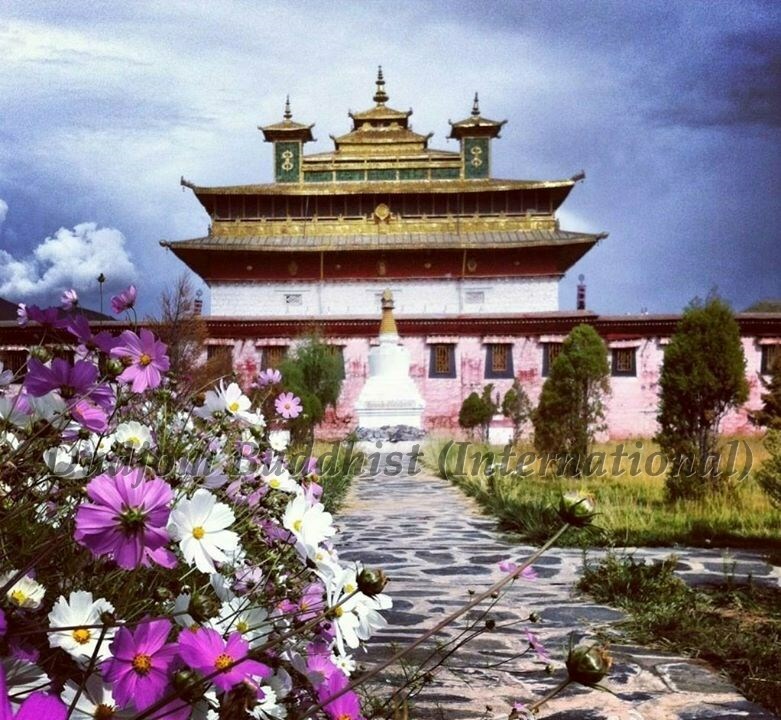 They further helped to build the Samye Monastery, in which a huge translation site was organized with the help of both Indian Panditas and Tibetan Lotsawas in translating all of the Sutras and Tantras from Sanskrit into the Tibetan language. At the same time, there were some other sages, including Vimalamitra and Vairochana (or Vairotsana), together with Guru Padmasambhava, who helped to spread the Great Perfection (“Mahasandi” or “Atiyoga” in Sanskrit; “Dzogpa Chenpo” in Tibetan) teachings – the pinnacle of the “Nine Yanas” (Tib. theg pa rimpa gu) – into Tibet. All these were later came to be known as the “Ngagyur Nyingma” (the “Ancient Translation Tradition”) school. 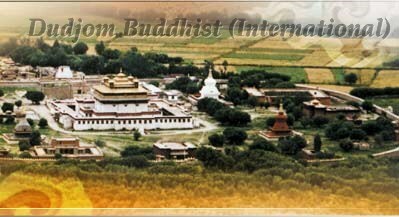 Besides the Nyingmapa, there are other Vajrayana schools whose teachings were brought from India to Tibet during the late 10th to 11th Centuries, namely: Kadampa , Sakyapa , Kagyupa and finally Gelugpa. Collectively, they are known as the “Sangngak Sarma” (the “New Mantra Traditions”) schools. Hence, nowadays, there are the four main schools of Tibetan Buddhism, namely: Nyingma (Wyl. rnying ma), Kagyu (Wyl. bka’ brgyud), Sakya (Wyl. sa skya), and Gelug (Wyl. dge lugs), each with their own distinct study and practice characteristics, while having all the basic fundamental principles of Buddhism intact within them. May the Light of unequalled virtues increase.